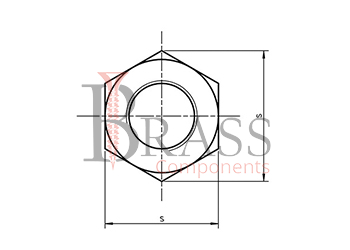 DIN Standards are invented for a variety of components including industrial fasteners as DIN 936 Hexagon Thin Nuts. DIN 936 Nuts are manufactured from stainless austenitic steels A2 and A1 Grades, carbon steel with addition of alloying elements, Hardened and Tempered, non-ferrous metals and alloys. DIN 936 Hex Nuts are available in a wide range of sizes, shapes and materials. DIN 936 Hexagon Nut with fine thread pitch. Complies with GOST 5916-70, GOST 5929-70, ISO 4035 and ISO 8675. Strength Class 4 and 5. Manufactured with metric coarse and fine threads for all sizes. Six Sided General Purpose Fasteners with Internal Screw Threads. Provide fine adjustment even in inaccessible area. Achieve Maximum Corrosion Resistance with various coating and plating. Used in Conjunction with a mating bolt to fasten two or more parts together. Used in combination with bolts, studs or screws with different thread sizes. Widely used in Production, Industry, Instrument making, engineering and so on. Applicable from conventional luminaires to large Industrial assembly units. Used in those cases where the use of standard nuts is technologically not acceptable or impractical. Used for detachable joints when assembling machine tools, machines, units and aggregates in mechanical engineering as well as in instrument making. 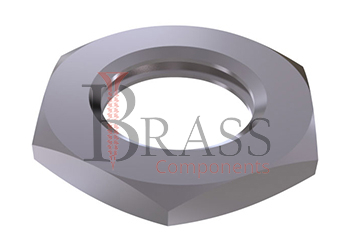 We manufacture DIN 936 Nuts as per Custom Specification and export in Finland, Jersey, Spain, Switzerland, Ukraine, Austria and other European Countries. For more Information, Please Contact Us or Inquiry Now.